Previous Post How smart is the NFLPA at running the PR battle? As Maggie called it from the picture, gooey goodness. Yes, I know this hurts me more than it does a Reuben-style dish. No one ever said love was fair or logical. Actually, maybe Spock said that. Between a child psychologist and a fictional sci-fi being that does not know emotion, I imagine one of them said love wasn’t fair or logical. Maybe you believe it was a Raven’s miracle. 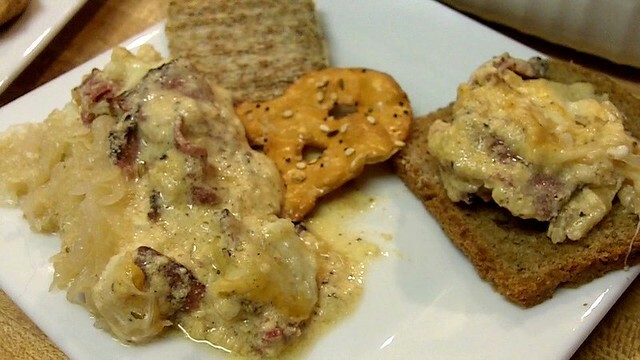 Maybe you’ll love this Hot Pastrami Reuben Dip even more because you love seeing the Steelers lose. As incredible as it may seem, there are an awful lot of people who get a joy out of the Steelers losing. (I also assume these people hate puppies, reading and fun, but we shouldn’t judge now, should we.) 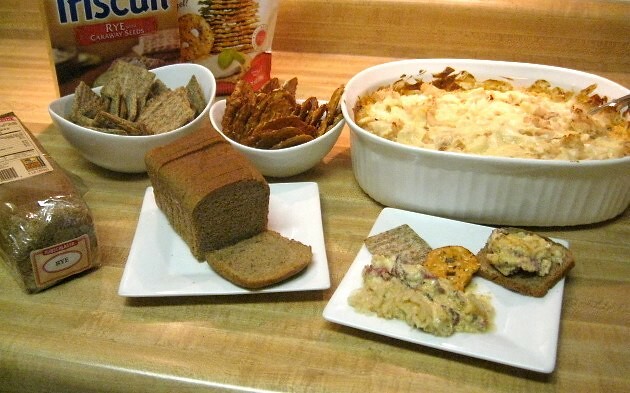 So maybe those fans will make this delicious dip every Sunday for the rest of the season. 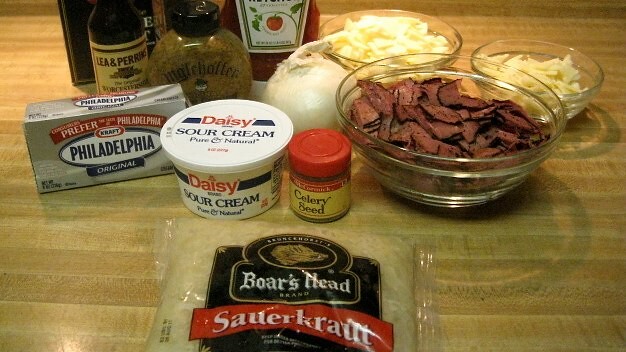 And maybe other Steeler fans will make Hot Pastrami Reuben Dips because obviously it was the combination of me and the dip that ended with a Pittsburgh loss. Video blog of the recipe hosted by Bryan and Sarah this week for director’s and cook’s commentary! More pictures and detailed instructions after the jump! Hot Pastrami Reuben Dip with Russian style dressing and Provolone not Swiss because Swiss is stinky (but you can use Swiss if you like). 1 heaping tablespoon of mustard, to taste. No one has a good looking wrist. So I tell myself. Set aside to rest and drain some more. Or use a bowl and a knife. 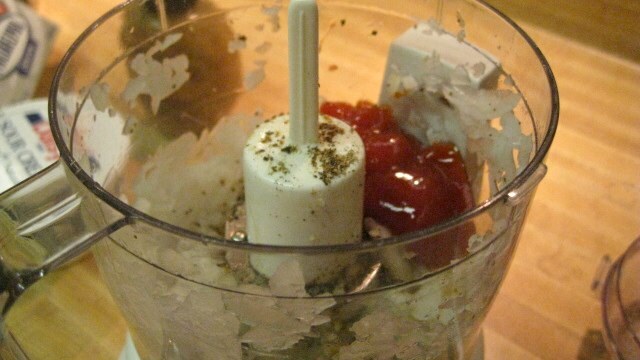 Chop 1/2 of a medium onion, and blend together with Worcestershire sauce, celery seeds, ketchup, salt and pepper. 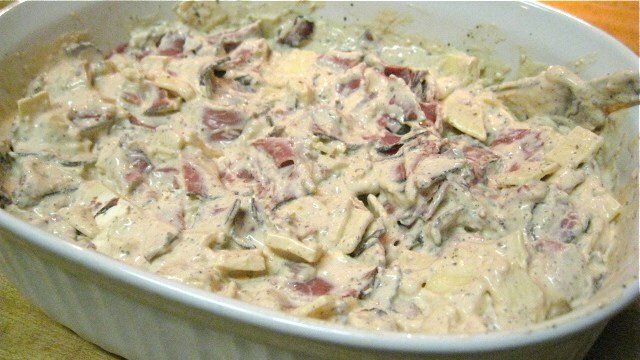 And blend together with the cream cheese and sour cream. Pour into a bowl to rest if you are doing this step ahead of time, (I do this so I can assemble during commercials and bake at the half, or the night before), or pour directly into an oven proof dish for the baking if you are making it right away. Todd Heaping amount of mustard? No wonder we lost. 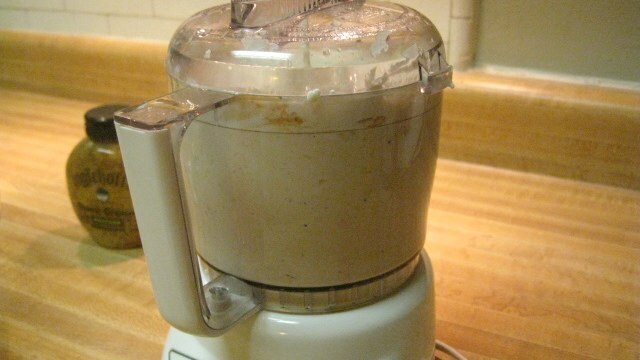 Swirl in a heaping tablespoon of mustard into the dressing. 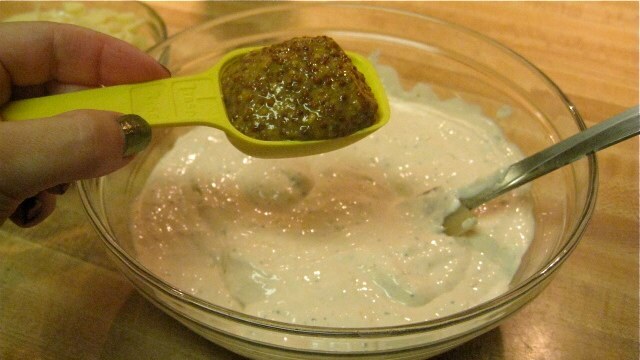 You don’t have to add mustard if you don’t want to, but it adds a nice little bit of depth to the other flavors in the dip. Pastrami! 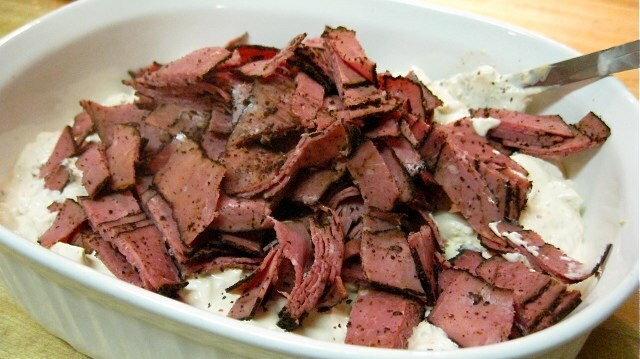 Far superior to plain corned beef! Why did no one tell me when I was young? White on white on white, the Friday Football Foodie’s white balance nightmare. And mix in 8 ounces of either provolone or Swiss cheese. More white balance nightmares. Swear half my pics and video were unusable. 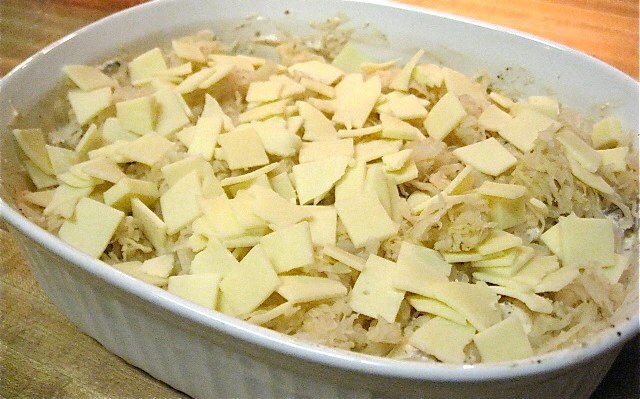 Top with the desired amount of sauerkraut and the remaining 4 ounces or so of cheese. Bake at 350º until bubbly, about 25-35 minutes. Crooked photo because I was trying to keep the heat in. 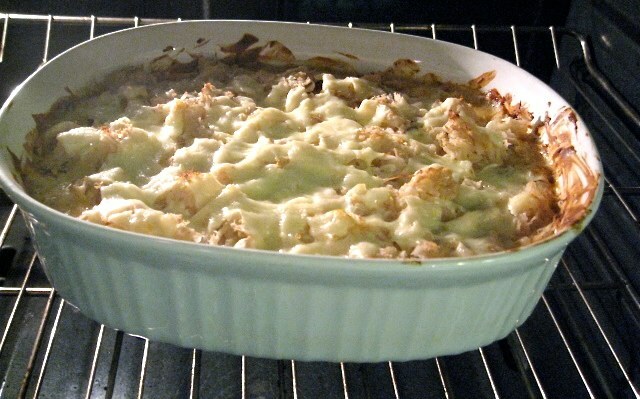 Now, I bake this dip. I know other people put their Hot Reuben Dips in Crock-pots to let heat for a few hours. That’s up to you, but if you decide to make it in a slow cooker, be sure to fold in ALL the cheese and the sauerkraut and not let them sit on the top. 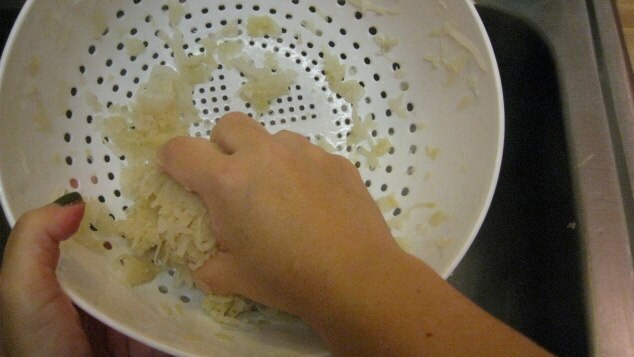 Also, keep a small amount of extra sour cream on hand or maybe some of the drained sauerkraut water to add back in later, because I have found that dips made in slow cookers tend to dry out after a while once everyone starts leaving the lid off all of the time for serving. Serve with cocktail rye or pumpernickel bread, rye crackers and pretzel thins. I thought everyone made those?